A Supreme Court Bench comprising of Justice A.K. Patnaik and Justice Jagdish Singh Khehar, in a momentous decision yesterday, simplified the course of action to be adopted in patent litigation, in order to avoid multiplicity of proceedings. The appellant in the instant case, Dr. Aloys Wobben was a scientific engineer who has to his credit, several inventions in the field of wind turbine generators and wind energy convertors, with 100 patents in India. The respondents, Yogesh Mehra and Ajay Mehra were joint venture partners of Dr. Wobben, in carrying out the manufacturing process under the name of Enercon India Limited, which was formed in 1994. The licences to use the technical know-how were vested by Dr. Wobben with Enercon Indian Limited, through written intellectual property licence agreements. However, the agreement dated 29.9.2006 was terminated by Enercon GmbH in 2008, due to non-fulfillment of obligations. Dr. Aloys Wobben had hence contended that even after the termination of the agreements, the respondents continued the use of the patents, without due authority. This led to a legal struggle between the two parties. The respondents had filed 23 revocation petitions before the Appellate Board, praying for the revocation of the patents held in the name of the appellant. They had also filed counterclaims, in response to the patent infringement suits brought about by the appellants. The litigation had now reached the Supreme Court, in order to determine the correct course of action to be adopted, in the light of compound proceedings having been invoked by the two parties. “Having consented to one of the available remedies postulated under law, it would not be open to either of the consenting parties, to seek redressal from a forum in addition to the consented forum. We, therefore hereby affirm, that the consent order passed by the High Court on 1.9.2010, being on the subject of procedure, and being before a forum which had the statutory jurisdiction to deal with the same, was fully justified in the facts and circumstances of the present case” . The Court went on to consider the two remedies available under the Patents Act, under section 25 and section 64. A perusal of Section 25 reveals that “any person”, and not just a “person interested” (as in the case of Section 64 of the Patents Act), can oppose an application filed for the grant of a patent. Whereas, under Section 25(2), only a “person interested” and not “any person” (as in the case of Section 25(1) of the Patents Act) may challenge the grant of a patent, within one year of the publication of such grant. The grounds for such an opposition can be made under conditions depicted in section 64 of the Act, or other grounds which are similar to section 25(1) of the Act. On the subject of locus, therefore, Section 25(2) and Section 64(1), are alike, inasmuch as, the locus to raise a challenge to a patent granted, lies with “any person interested” in both of these provisions. A challenge to the grant of a patent can also be raised by a defendant in a “patent infringement suit”. This can be done by the defendant by filing a “counter-claim” in a “patent infringement suit”. This would lead to the premise that only on the culmination of procedure contemplated under Section 25(2) would confer the ultimate nod to the patent. The court therefore said that it is unlikely and quite impossible, that an “infringement suit” would be filed, while the proceedings under Section 25(2) are pending, or within a year of the date of publication of the grant of a patent. The Court also considered the scope of section 64 of the Act and said that “If any proceedings have been initiated by “any person interested”, under Section 25(2) of the Patents Act, the same will eclipse the right of the same person to file a “revocation petition” under Section 64(1) of the Patents Act. And also, to invoke the right granted under Section 64(1) of the Patents Act, to file a “counter-claim” (in response to an “infringement suit”, to seek the revocation of a patent)”. The Court hence had to consider whether the remedies available with perusal of section 64 can be availed simultaneously by the same person, the two remedies being- filing a revocation petition before the IPAB or a counter-claim in an infringement suit. The appellants had contended that the use of the word “or” under Section 64(1) was not conjunctive and a choice would have to be made between the two. .The court didn’t show the slightest hesitation to accept this contention. The next question of determination was that having chosen both the above remedies, which one of the two, should the respondents, be permitted to pursue. The Court ruled that if the respondents had filed a revocation petition before the institution of an infringement suit, they cannot be permitted to file a counter-claim on the same cause of action. This was based on the fact that a counter claim is in fact of the nature of an independent suit. Hence, this conclusion could be arrived that on the basis of the accepted principle of law crystallized in Section 10 of the Code of Civil Procedure, 1908 (hereinafter referred to as, the CPC) read with Section 151 of the CPC. The Court also said that if a revocation petition is filed before an infringement suit, the petitioner would be disentitled in law from seeking the revocation of the patent through a counter-claim. The final contention by the appellants was based on the consent order passed by the High Court on 1.9.2010, wherein the respondents (as defendants) had agreed, that the suits and “counter- claims” pending between the parties should be consolidated, and should be heard by the High Court itself. It was submitted by the appellants, that even after the above consent order dated 1.9.2010 was passed by the High Court; the respondents had continued to pursue their revocation petitions before the Appellate Board. While keeping in mind the convenience of the parties, the Court finally held that it would be open for them by consent, to accept one of the remedies, out of the plural remedies, which they would have to pursue in the different cases, pending between them, to settle their dispute. The Court therefore affirmed that the consent order passed by the High Court on 1.9.2010, being on the subject of procedure, and being before a forum which had the statutory jurisdiction to deal with the same, was fully justified in the facts and circumstances of the present case. This judgment lays a clear path for patent litigation, so as to avoid multiplicity of litigation and answers several questions regarding proper use of forum for litigation. 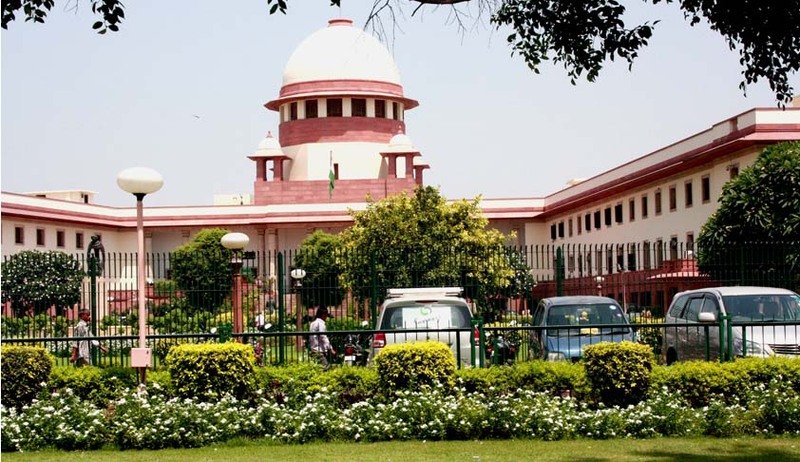 Legal News India, Supreme Court News, Supreme Court Judgments, Enercon Case.